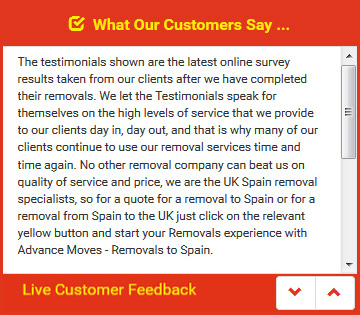 Removals UK Spain is such an exciting adventure, and could indeed be something that you have been working towards all your life. Many people who have reached retirement age choose to spend their non-working years in the sun of Spain. But you don�t want to take too much with you. The idea behind removals to Spain is often to start afresh. So although you will, of course, want to bring some items with you on the next step of your life�s adventure, you shouldn�t try to bring everything. Therefore, when it comes to packing, it�s a good idea to see it as an opportunity to �declutter� as much as possible. As you start to pack away your UK life into boxes and wrap it in bubble wrap, take a good, long look at what you are packing away. Is it something you use regularly? Are you going to use it in Spain? If so, then definitely pack it. But if it is something that you never use, and you are not going to use it when you reach Spain, then why take up precious space on the removals lorry with it? Otherwise, charity shops or refuges will be glad of donations, as long as items are undamaged and working properly where applicable. The loft and the garage are places where these �junk� items are often stored, perhaps even still in a box still packed from your last move! Be honest with yourself, and only take with you what is needed. Removals from Spain to UK and the other way around are a time to begin again, not drag junk around with you. Book with Advance Moves for your removals UK Spain and feel confident that everything is in hand. Our useful website is packed full of information � http://www.advancemoves.com/. For further advice and quotes, please contact us on 0871 218 0612 or email info@advancemoves.com. We can help with big and small moves.